Safety by design is a guiding ethos as a new and smarter style of health care building looks at error prevention and stress reduction. Since that report, the market has taken the relationship between the hospital environment and safety very seriously. So has the government; as of Oct. 1, Medicare will limit reimbursement for a list of facility-caused medical mistakes, including objects left in after surgery, certain types of falls and death or disability from use of contaminated drugs or devices. Visionaries have shown that one means of improving the care, reducing risk and maximizing efficiency, starts “from the ground up” — specifically, in designing the physical facility. And their ideas don’t automatically require more whiz-bang gadgets (and their attendant costs), a key point amid what’s being described as a decade-long health care construction boom. John Reiling, president and founder of Safe by Design and former president and CEO of St. Joseph’s Community Hospital & SynergyHealth Inc. in West Bend, Wis., offers a compelling dose of reality in the current hospital environment. Reiling is one of the cadre of “health safety by design” specialists whose credo, based on a growing body of research, is that when it comes to reducing medical error, environmental design makes a difference. In 18th-century France, a new “pavilion plan” hospital design originated — offering improved ventilation as a means toward lowering the staggering hospital mortality rates. One aggressive advocate a hundred years later was English field staff nurse Florence Nightingale, who had witnessed a shocking patient death rate — from disease, not combat wounds — during the Crimean War. More recently, Roger Ulrich and Craig Zimring of the Center for Health Design surveyed the published literature studies linking the building environment to health outcomes. In the 2008 Health Environments Research and Design Journal (funded by the Robert Wood Johnson Foundation), they report a growth from 84 citations in scientific, peer-reviewed articles in the mid-’80s to 1,500 published as of May 2008. In a pioneering move following the IOM report, Reiling invited a diverse group of safety professionals to meet, discuss the problem and develop specific recommendations concerning facility design and safety. From their work in 2002, the National Learning Laboratory was born, its principles becoming the basis for planning and building a new facility to replace their existing, 70-year-old St. Joseph’s Hospital. “What we came up with is a list of 10 to 12 considerations around which the design should be created to have less error,” Reiling said, citing human-caused harm like post-operative complications, infections, medication errors, deaths of patients in restraints, transfusion events, wrong hole/connection failures, patient falls, wrong-site surgery and MRI hazards. They then looked at ways to address those issues in part through design that was conducive to reducing errors and encouraging best practices — for example, in fighting hospital-acquired infections. “Installing sinks appropriately and then creating a culture that encourages patients, guests and staff to wash their hands — a color-coded light over the sink signaling the physician has washed hands in front of the patient, for example —can have a great effect,” he said. The National Learning Laboratory identified other room attributes that can reduce risk, such as easy-to-clean hard surfaces or pathogen-reducing ultra-high-efficiency air filters and UV lighting. These options may cost more, but Reiling says they correlate with the healing factor. Design, however, is not a panacea. “Safety in health care is about creating the conditions that when people make mistakes — which they will and do — these errors are caught, and they don’t turn into human harm,” Reiling explained. He defines how this concept of “safety by design” is a reshaping of three important factors within a health care facility: the processes, the work culture of the staff and the facilities. Blair Sadler, president and CEO of San Diego’s Rady Children’s Hospital and currently a senior fellow at the Institute for Healthcare Improvement, said environmental influences “like a noisy ice machine in the hallway, rooms with no view to a natural environment, overhead paging systems” and lack of natural light — while not safety considerations, per se — also exert a negative effect and prevent patients from having the quiet and serene environment so important for recovery. In fact, research has shown noise is merely a nuisance; it’s been linked to higher blood pressure and greater pain, as well as to the more obvious interruption of sleep. “Distractions like these that cause sleep deprivation, create anxiety or contribute to depression only lengthen the hospital stay, with less positive outcomes,” Sadler said. Reiling emphasizes standardization as another crucial aspect to reducing error. By standardizing the rooms in each unit, there is less chance for mistakes during routine functions. “The brain creates a pattern called schemata, and when you walk into a room, you automatically know just where to go to plug into an outlet or reach for medications,” he said. The National Learning Laboratory also devised the key points needed in overhauling the system to create a culture of safety. This includes shared values and beliefs about safety within the organization, an awareness to always anticipate precarious events, teamwork among physicians, continuous learning, ongoing improvements and empowering families to participate in the care of patients. 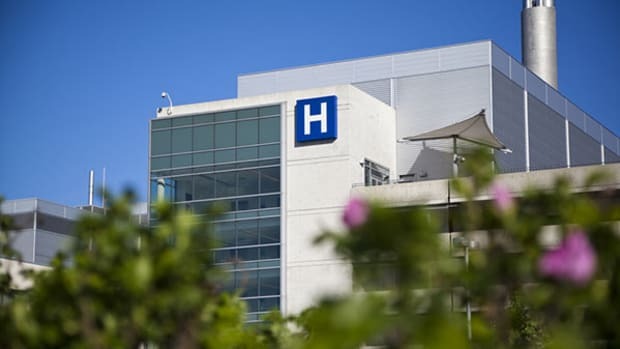 Finally, Reiling said, the culture must allow “for errors to be reported in a blame-free environment.” At St. Joseph’s, nurses were encouraged to report mistakes and make recommendations through an anonymous reporting system. As a result, the entire culture of thinking about safety changed from fear of blame to active participation. The “new” St Joseph’s opened in August 2006 and has become a model of safety by design, attracting the attention of administrators worldwide. The window blinds are built inside of the windows to reduce the airborne particles that contribute to hospital-acquired infections; venting is positioned to reduce condensation, discouraging mold and bacteria growth; lighting fixtures deliver the wavelength that most simulates natural light, making visual diagnosis and observation — particularly for infant jaundice — easier and more accurate, as well as reducing patient falls and lessening nurse fatigue. Nurses can observe patients without disturbing them via a glass-walled alcove, and the risk of infection is reduced by dispensing medications through the alcove’s sliding tray. Others are hoping for the same benefits. SSM Health Care in St. Louis, slated to open a new campus in 2009, has adopted a comprehensive patient safety campaign that includes safe-by-design elements. In Ann Arbor, the University of Michigan’s $563 million C.S. Mott Women and Children’s Hospital is being designed around patient safety and satisfaction, with special HEPA filtering and wireless technology planned for each of its spacious patient rooms. And in England, the National Health Service Pembury Hospital in Tunbridge Wells is just getting under way; designers say it is a unique project that incorporates features specifically for patient safety and infection control. In this week's podcast, Tom Jacobs discusses the Prozac-like qualities of classical music and Emily Badger reveals that some research tagged as wasteful actually has solid scientific applications. 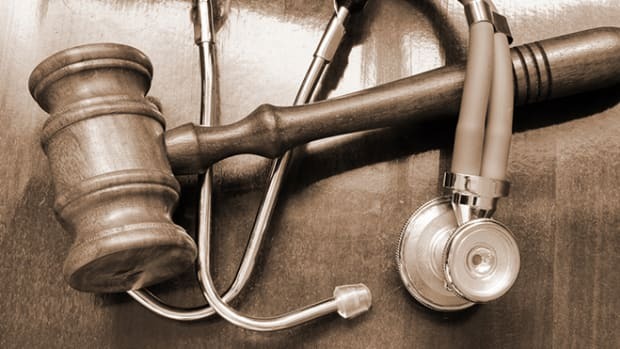 Studies show that nine of 10 patients seeking a medical malpractice attorney won’t find one—women, children, and the elderly in particular. All those nagging issues from a year or so of Miller-McCune health coverage show up in the nation's health report card.